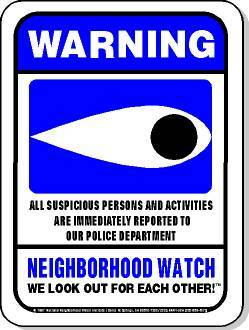 The Zion Police Department would like to invite any Zion resident who is interested in joining or forming a neighborhood watch group to Contact Officer Jenna Madero. Our mission is to build upon the original concepts of Neighborhood Watch, utilizing all available resources to create a proactive community-police partnership for crime prevention and problem solving in each neighborhood. Why is this important? Since there cannot be a police officer on every street corner, citizen’s involvement is essential to combat crime. You and your neighbors are experts who really know what is going on in your neighborhood and by cooperating with each other and the police, you can help fight crime the most effective way – before it begins.